MOBI Colloquiums and Exhibitions explore the convergence of AI, IoT, Blockchain, Mobility, and Smart Cities to build the minimum viable ecosystem for human mobility by fostering creative and professional growth alike. Our colloquiums are the premier destinations for discovery. We provide opportunities for global professionals at every level to participate, learn, and network. Featuring a variety of topics that allow attendees to explore what’s next in the worlds of mobility and blockchain technology, and how they intersect with smart city initiatives. MOBI Colloquiums prove that the most unexpected discoveries happen when diverse topics and people come together. The first India based MOBI Colloquium is on May 23, 2019 in New Delhi. 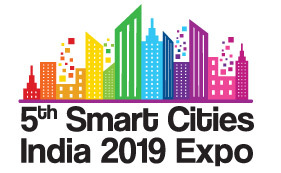 This event will be part of a three-day Smart Cities India expo. Smart mobility is an integral piece of the smart cities puzzle and due to India’s rapidly growing population, their government is beginning to invest in major infrastructure programs to modernize select cities across the country. India is the 4th largest market in the world for new auto sales. Both the government and a number of private enterprises have laid out plans to establish the country as one of the global manufacturing hubs and R&D centers for automotive and new mobility services. 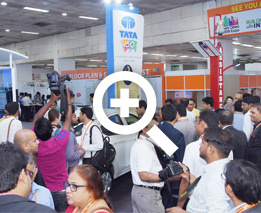 As an attendee, you will have the opportunity to network with participants in this exclusive event focused on blockchain applications in mobility and smart cities, while also reaching out to a broader audience of thousands of attendees in related industries (2018 Post Show Report). Contact Annabelle Sbarbatti at annabelle@mobi.world, if you are interested in speaking, hosting a booth, or sponsoring the event. During our sessions, hear from technologists, investors, creators, and industry leaders as they explore the ways in which blockchain, IoT, and AI technologies are being deployed in mobility and smart cities ecosystems and discover the power of incentives that are fueling the exponential rise of smart cities and mobility industries. Sessions are subject to change.